The demand for home health care services continues to rise as the U.S. aging population grows. Over the past five years, the home care industry has grown by 3.4% to reach $93 billion in revenue in 2018. Among Americans over the age of 65, almost 70 percent will require long-term care, either in a facility or at home. The majority of these seniors prefer to receive health care services in their homes. 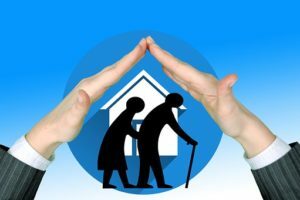 The home care industry consists of home nursing care, home hospice, homemaker and personal services, home medical equipment, and home therapy services. Agencies are often under great pressure due to the quantity and quality of care required. Home care agencies must be equipped to deliver care around the clock, including managing phone calls from elderly patients and their families. A human connection – Home care patients do not want to be put on hold or receive a recorded voicemail, especially if their call is regarding an urgent matter. The friendly call representatives at live answering services answer patients’ calls 24 hours a day, promptly and professionally, 365 days of the year. HIPAA compliant care – Live answering services that specialize in working with the medical industry have receptionists who are HIPAA trained and certified. Patient health information is rigorously protected and confidentiality is never compromised, putting patients and their caregivers at ease. Discerning urgent versus non-urgent calls – Based on the specifications of each home care agency, live answering service operators can discern whether a call requires immediate action or not. This is particularly helpful after hours when on-call home care workers don’t need to be woken in the middle of the night for a routine matter that isn’t time-sensitive. Meanwhile, emergency calls are immediately forwarded to the on-call technician. These are just three basic ways live answering services partner with home care agencies to deliver better care. To read how Voice Link of Columbus helped one home medical equipment agency save time, money, and even sleep, click here. How your calls are handled reflects on the reputation of your home care agency, and using the right answering service can make the difference between losing and keeping a customer. Specializing in the healthcare and medical industry, Voice Link of Columbus, Inc. provides live answering services that exceed your expectations with no hidden fees and flat rate month-to-month service agreements. Customized communication solutions, appointment scheduling, and secure messaging save you time and money while improving customer satisfaction and loyalty. Request information online or call us at (800) 262-2799.